This World Map Wall Sticker is the ideal gift and home addition for any keen world traveler, and is suitable for any room in the home! Even suitable for outdoor application, this high-quality vinyl is available in a wide variety of different sizes, and if you require a custom sized sticker produced, don't hesitate to get in touch at info@tenstickers.com! 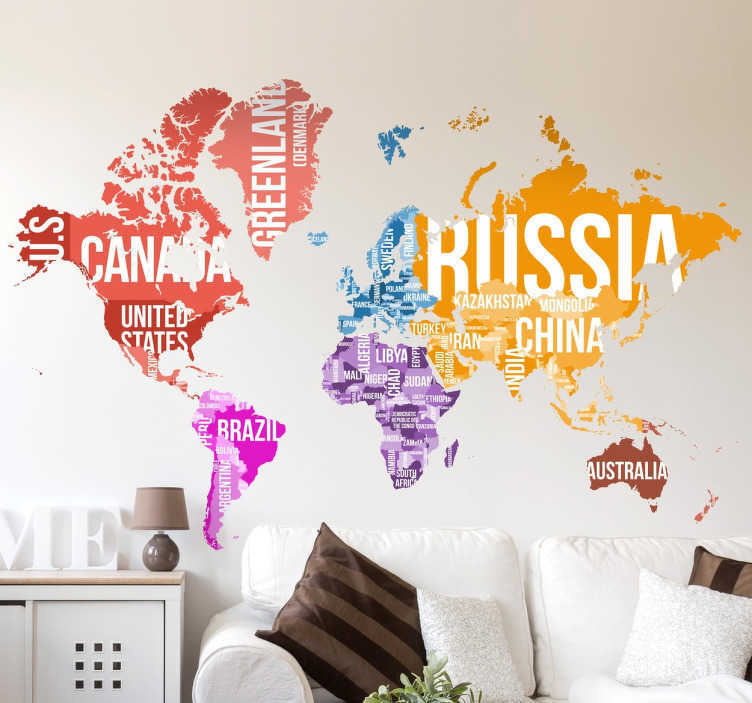 World map wall decal showing the continents of the world in different colours and the names of each country written in large text across the map to give an educational and visually pleasing atmosphere to any room in your home or business.